NRI businessmen Hindujas have retained their position as the richest Asians in the UK in 2017 with an estimated wealth of 19 billion pounds. Steel tycoon Lakshmi N Mittals secured the second place with a fortune of 12.6 billion pounds - up from 6.4 billion pounds last year - in the Eastern Eye Asian Rich List, Britain's 101 Wealthiest Asians 2017, released last night. 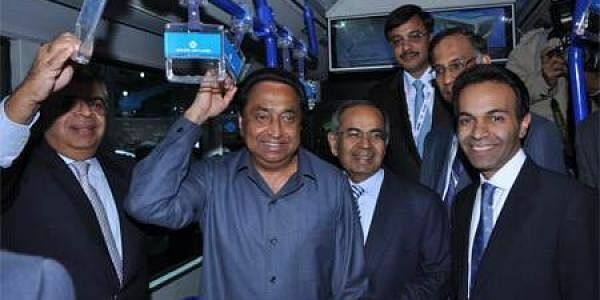 According to the list, the Hinduja brothers - Srichand and Gopi in London, Prakash in Geneva and Ashok in Mumbai - have seen sharp increases in profitability in Ashok Leyland, InduSind bank, Gulf Oil, energy and real estate. This has justified the family's long adopted policy of pursing the path of diversity, the list said. Mayor of London Sadiq Khan, who was the Chief Guest at the 20th Annual Asian Business Awards organised by the Asian Media & Marketing Group, presented the first copy of the Rich List to G P Hinduja, Co-Chairman of the Hinduja Group. Britain's 101 wealthiest Asians are collectively worth 69.9 billion pounds, up from 55.4 billion pounds last year - a rise of 25 per cent. According to the list, the recovery in the European steel market has enabled the Mittal family to double its net worth during the year. Prakash Lohia, Chairman of the Indorama Corporation (Petrochemicals) is the 3rd richest in the list with a fortune worth 4 billion pounds - up 1 billion pounds over last year. Anil Agarwal, executive chairman of Vedanta Resources, one of the fastest growing mining and metals group in the world, is fourth in the list along with Arora brothers - Simon, Bobby and Robin who own a chain of retail stores. Leading NRI industrialist Lord Swraj Paul is 14th in the list with an estimated wealth of 800 million pounds as against 300 million pounds last year.